A cost effective option for building new walls! Next Level Plastering is Yorkshire’s number one plastering company at using metal stud partitioning. 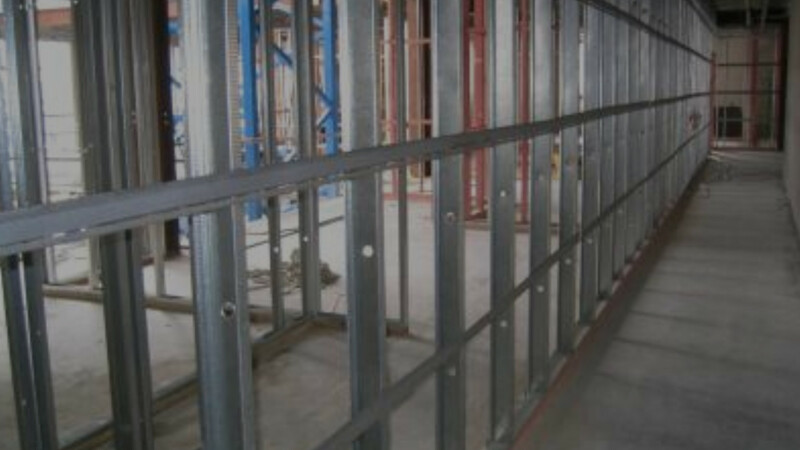 Metal Stud Systems are often used to create a framework on which the plasterboard is attached. The great thing about using metal partitions when plastering is that it is so much faster than other method of installation. It is also a cheap, cost effective option as using metal stud partitions is a cheaper option than other methods such as using timber batons. Many clients are naturally and understandably concerned about the fire safety and soundproofing of their properties. Builders love to use metal partitions as they offer defence against both, putting property owners at ease. This is a particularly thoughtful feature as these are used in blocks of apartments and offices, where buildings are highly congested and sound pollution and risk of fire are a big problem.